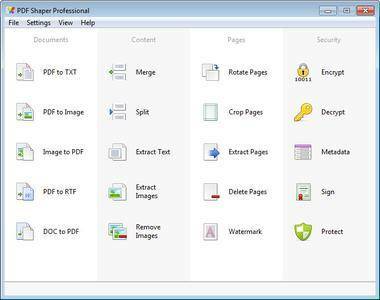 PDF Shaper - a program to convert PDF-files to different formats. Unlike similar programs, this product has a very simple and intuitive interface, not overloaded with unnecessary features and options - just choose the file to convert and save path. Functionality of the program also provides batch conversion, which will be useful when working with multi-page PDF documents. 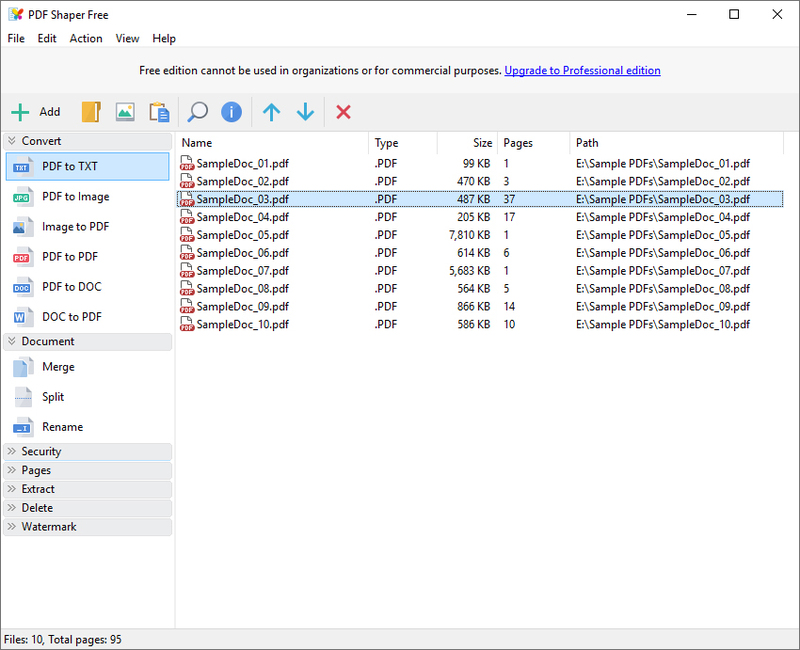 PDF Shaper is a powerful and free PDF software, which offers a collection of PDF tools and utilities to modify and optimize your PDF documents and its content. With PDF Shaper you can easily split and merge any PDF documents, extract text and graphics from PDF files, encrypt / decrypt document with password and change users permissions, convert images to PDF or PDF to images, convert Word DOC / DOCX to PDF documents.